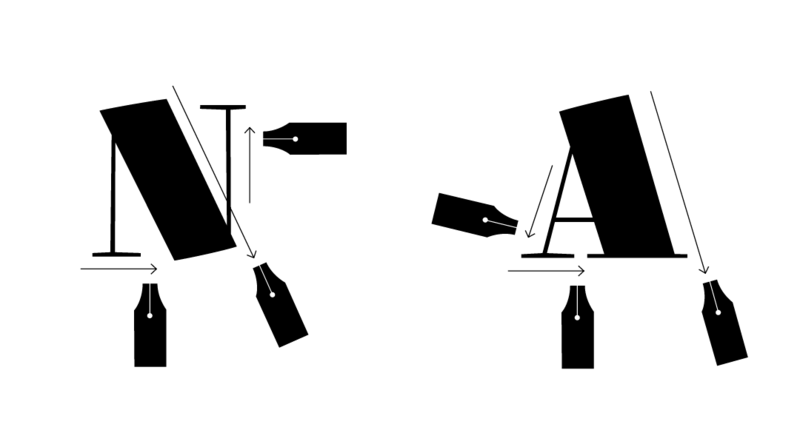 What happens if one tries to design some Didone letterfoms using a broad-nib pen? This question was the starting point for this project when, in June 2013, I started doing the first sketches of Silva. Unusually, the first two letters were capital letters: N and A. 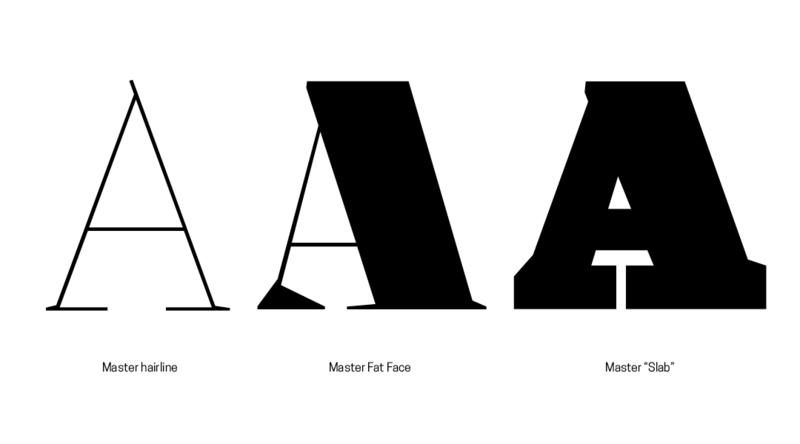 The construction principles behind this typeface subverts traditional calligraphic foundations of the use of the broad-nib pen: we usually hold the pen at 30°, but here the use of this tool was as free as possible, allowing variations of angles where necessary to achieve the desired result. This idea served as the starting point of the project but its influence on the design quickly began to decline. The main reason for this is that this was the first project that I used Superpolator as interpolation tool, and to test the tool I decided to organize the system with 3 masters only: A hairline, an extremely heavy and contrasted (Fat Face), and also a very heavy slab. Over time the workflow based on such masters brought other ideas and influences. During more than 1 year I worked only with these three masters generating interpolations that, on the one hand, lacked much refinement but on the other gave me a very interesting idea of what could be the final results. Maintaining consistency between the masters was technically difficult because they were all very extreme, but it allowed the creation of the skeleton of an extensive system in a relatively short time. At some point looking at the whole system I was seeing many things at once: humanistic traits (Venetians), Fat Faces, Slabs, Didones, Transitionals and even details made with a brush. 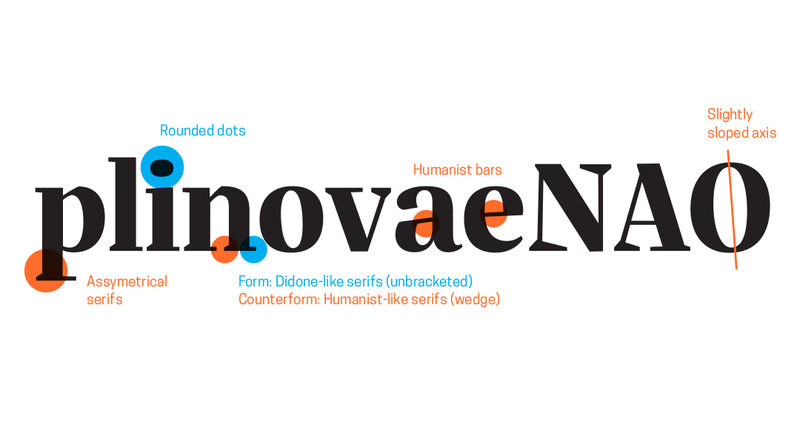 It is a mix of very different things, a typeface difficult to classify because it is hybrid, miscegenated, the result of a process predominantly based on my intuition. 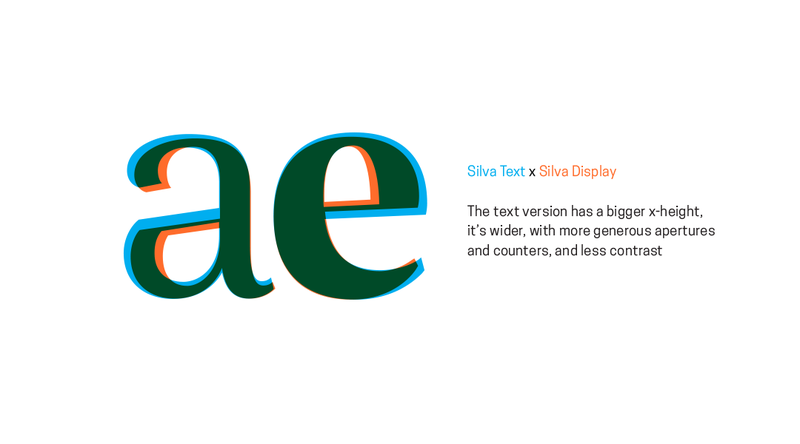 Designed primarily for editorial use, Silva is a superfamily ideal to typographically complex environments requiring a highly versatile typeface. With slightly condensed proportions, generous x-height, moderated ascenders and descenders and robust serifs, it is an extremely readable and economic type. 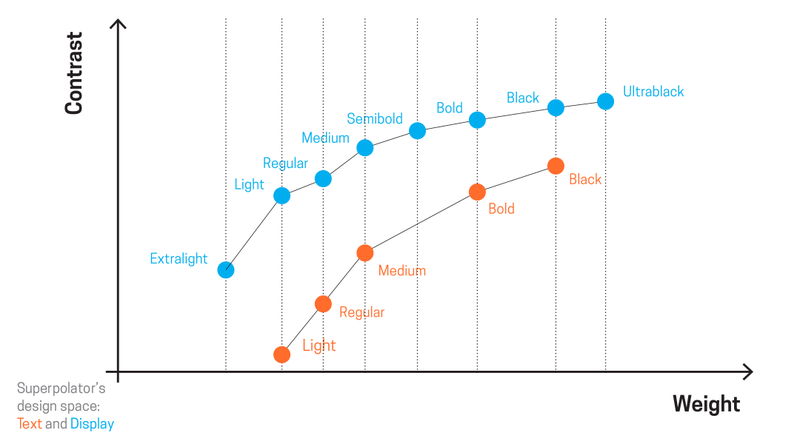 Subdivided in two optical sizes, the family has a total of 26 fonts including italics. Silva has an extensive character set — almost 900 glyphs covering more than 190 languages — that provides both old style and lining figures as well as their respective tabular versions, fractions, various ligatures, small capitals, arrows and a number of different symbols. 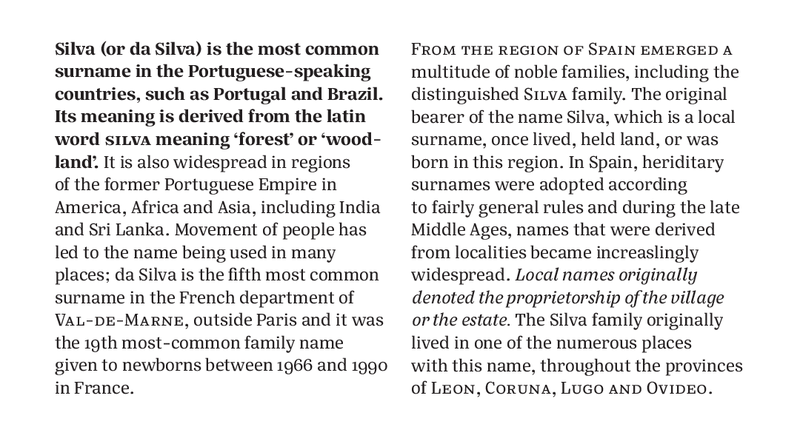 Silva is the most popular surname in Brazil. It is estimated that currently about 10% of the brazilian population (+20 million people) have that surname.